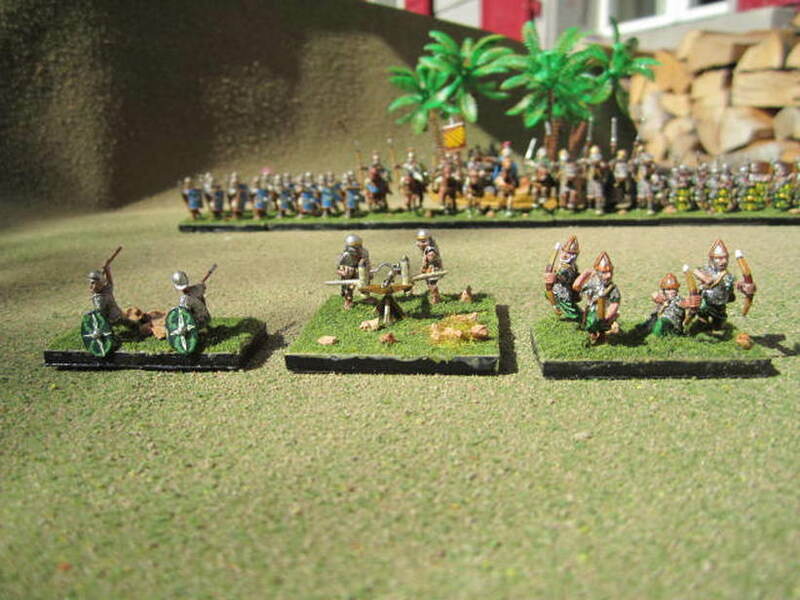 The Middle Imperial Romans were my second army. 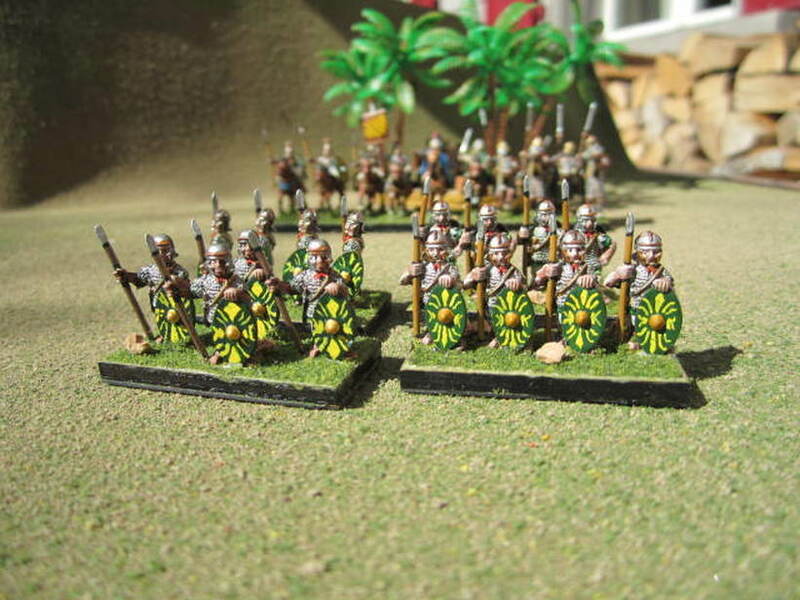 I built them to have a matching pair for the Arabo-Arameans and because everyone should have a Roman army. 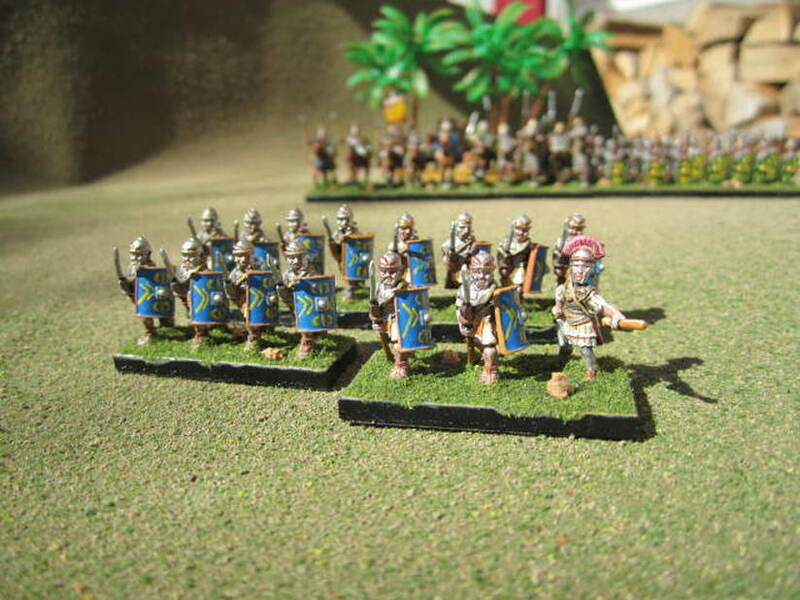 I like the legionarii very much but they are up to now my least successfull army. I just can't manage to make the different troop types interact efficiently. Need more practice. Work less, play more! 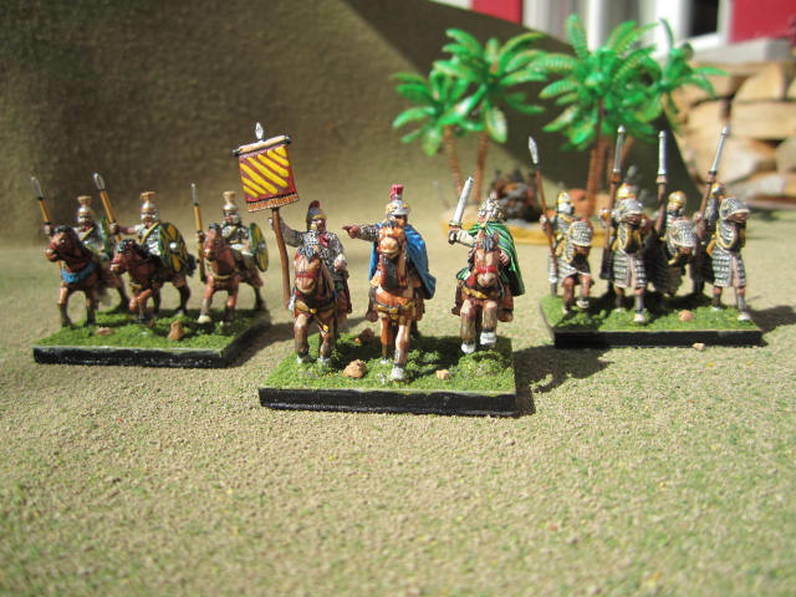 The miniatures are from Corvus Belli except the General (Legio Heroica) and the Light Horses (Peter Pig). 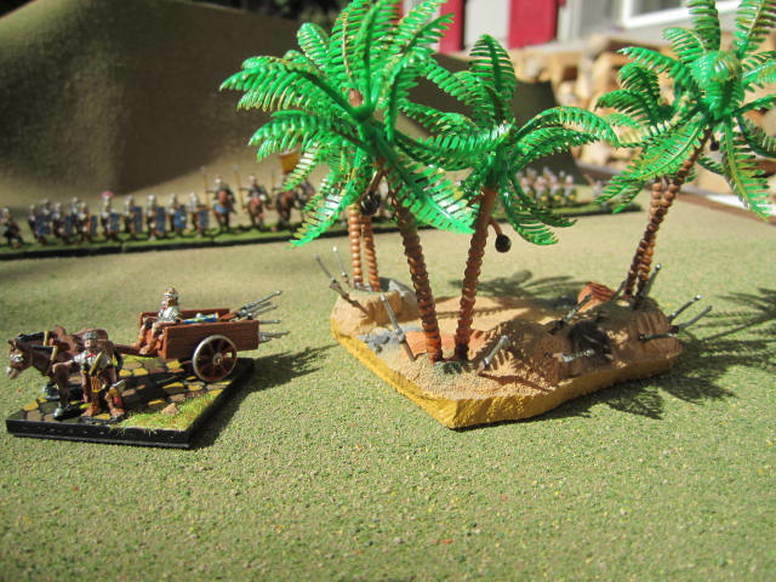 Desert Camp and supply cart with donkeys.